This offer is for 2 adaptors. We do not sell them singly. 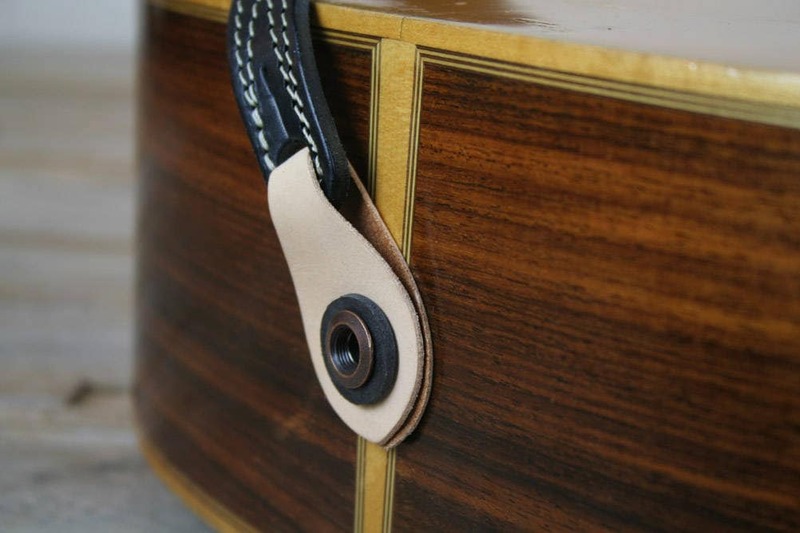 This item can be chosen as a free gift when you buy one of our guitar or mandolin straps. 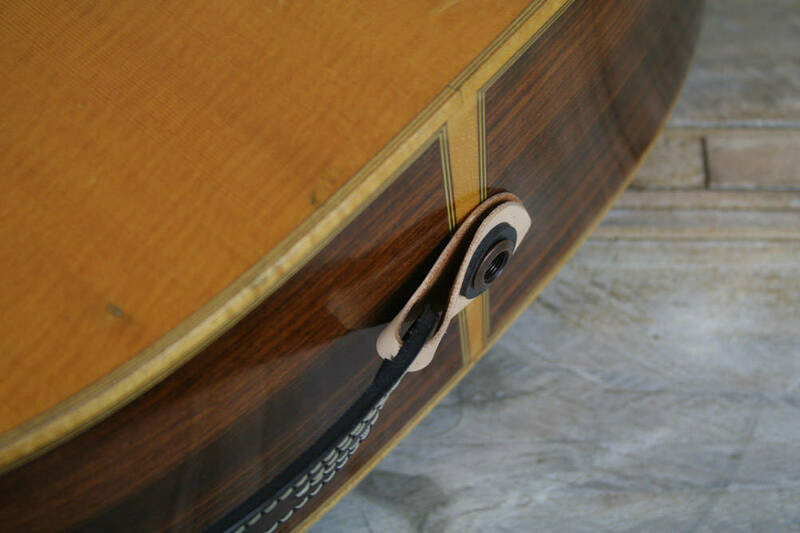 Many guitars and similar instruments have a strap pin (strap button) which is also a jack socket, so you can plug your instrument into an amplifier or PA. Bad idea. These endpins are larger than normal ones and often impossible to fit a strap onto. The Pinegrove endpin adapter can be used with any strap. The main part is made from high quality leather that will not break. A strong silicone rubber washer holds everything together. 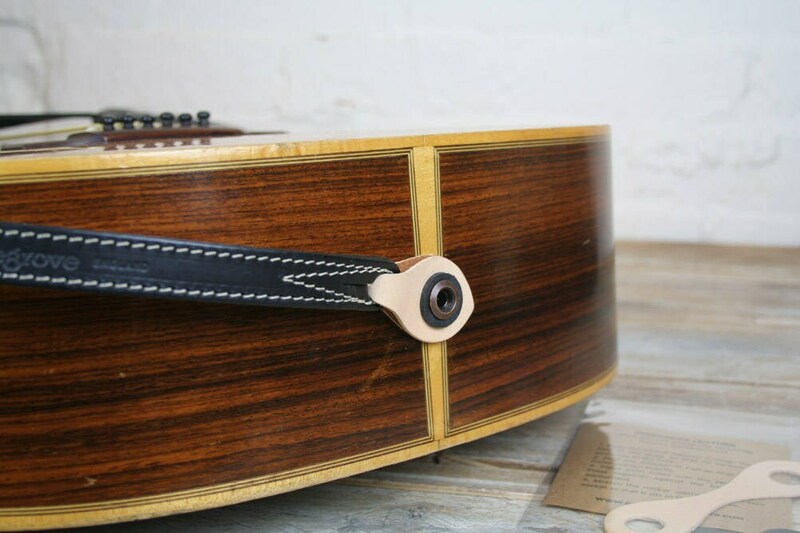 The strap pin connector can be used with mandolin, ukulele, mandola, banjo, hurdy gurdy and any other instrument with a combined jack endpin. Full instructions supplied.